Chinese network equipment and smartphone manufacturer ZTE has been unable to procure parts from the U.S. since earlier this year thanks to an export ban placed on the company. Considering that one-third of the hardware, software and components needed for the company to build a phone comes from the U.S., nothing less than ZTE's corporate survival is at stake as the company is the subject of a tug of war between Congress and the White House. Huawei, which like ZTE has been considered a threat to U.S. National Security, does not expect to be blocked from the U.S. supply chain. Ken Hu, who is one of Huawei's three rotating chairmen, told French newspaper Le Journal du Dimanche that he doesn't see the U.S. having to punish his company like it did ZTE. Unlike the latter, which sold goods and services to Iran and North Korea violating U.S. sanctions, Hu says that Huawei follows all laws and regulations "introduced by Europe, the United Nations and the United States." Despite that statement, The Wall Street Journal said in April that the company is being investigated by the Justice Department for allegedly violating U.S. sanctions on Iran. The executive said that because of its goal to use the best technologies, Huawei "will therefore keep buying American chips this year." It has reportedly started working on its own OS just in case it loses access to the Google licensed version of Android. And while it has its own line of Kirin chipsets that it uses to power its phones, Huawei employs American designed chips for RAM, the LTE modem, and for the battery charger controller. Huawei is the world's third largest producer of smartphones and also manufacturers networking equipment. Huawei Devices chairman Richard Yu has said that the company will top Samsung and Apple to become the largest smartphone manufacturer in the world by 2021. But that goal took a big step backward earlier this year when plans for Verizon and AT&T to carry the Huawei Mate 10 Pro were nixed at the last second. There is speculation that the U.S. government whispered in the ears of both carriers, asking them not to sell the device. Stores located on U.S. Military bases are also no longer allowed to sell ZTE or Huawei phones. 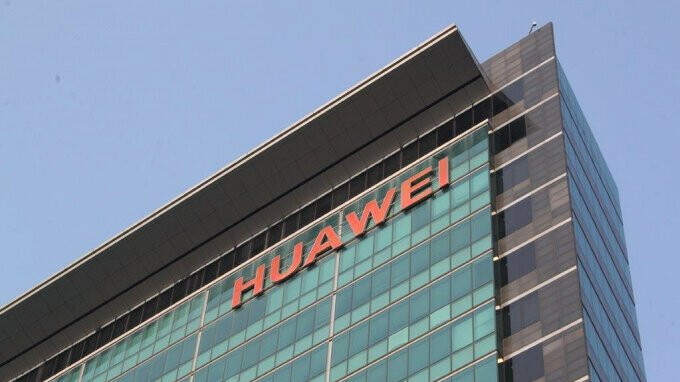 The U.S. government is worried about Huawei and ZTE's ties to the Chinese government, and are concerned that both companies are stealing information from American consumers and corporations. Huawei has denied this, calling it "groundless speculation." Not everyone wants a Samsung phone and even if they did the S8 active is US only. And not compatible with Verizon so not even available on Americas largest network. Careful, those are usage numbers not SOT. Actually more than 8.5 hrs SOT while on 4G or close to 9 hrs and the standby time is also excellent second to iPhone. Maybe it's more than 9 hrs on WiFi. Funny how the US government is worried about Chinese companies collecting data but couldn't care less that Apple, Google, Microsoft, Verizon, etc, are all mining and taking our data. Shame I might have to give up on Huawei living in the USA. If the FCC/congress/NSA/FBI/CIA tell the carriers to NOT allow IMEI's from Huawei to work on U.S. carriers, they are toast. I've had the Mate 2,8,9 LOVE EM, but, if I can't connect, or get updates, whats the use? Sad...I still say Apple & Samsung poured a TON of lobbyist money into DC to stop them. Xiaomi better be careful if they enter the U.S. market.